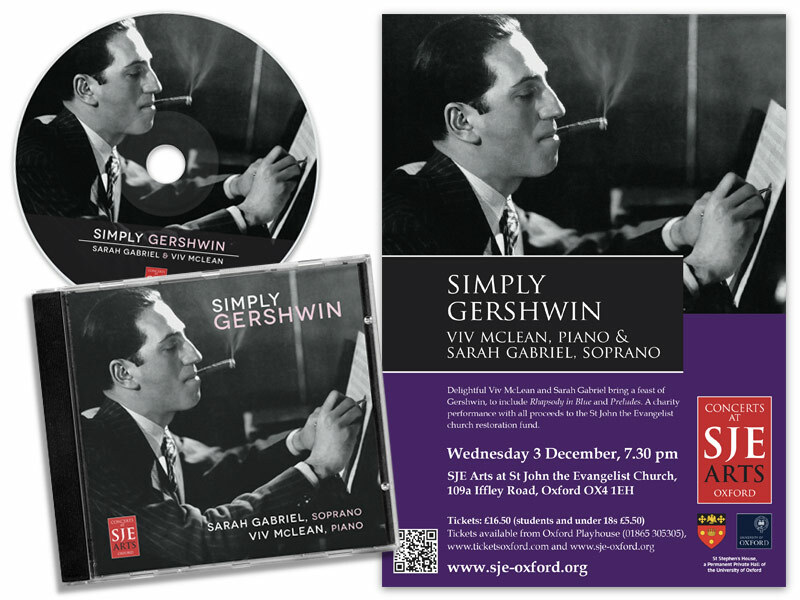 SJE Arts presented a 'Simply Gershwin' concert, with performers Viv McLean and Sarah Gabriel, at St John the Evangelist Church, Oxford, in December 2014. The concert was recorded and subsequently released as a CD album. I produced a promotional poster and flyer, which were displayed and distributed across Oxford, for the concert, as well as designing the CD booklet, packaging and disc.